We all know and are awareof the day to day situations faced by street kids in the society we live in. Knowingly or unknowingly we all are affected, having the understanding that Life is indeed a cycle. Hence, Victory Football Club is leading in this fight to restore Hope in the lives of Children. 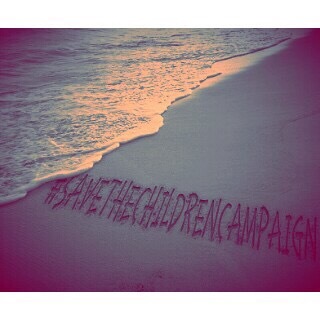 Welcome to what has become our Annual Charity Walk themed #SaveTheChildrenCampaign. We are inviting YOU to participate in our Charity Walk. Let us practice heroic virtues, protect the children and balance this cycle we seek dearly. We are confident that with your support / donations the children will in future assume their rightful places in the society as (Governors, Senators, Footballers, Engineers etc) and make positive contributions to it and humanity at large. TakeOff Point —— Water Board. Point of Destination —— Bateba Motherless Babies Home (Marian Hill). Date —— 28th November, 2015. Dress Code —— Sports Wear. Referees : OBA – 08034356300. KOKO – 08064359417. This entry was posted in activities, Ads, events, activities, press release and tagged Calabar, charity, children, heritage, oba, savethechildrencampaign, victory football club. Bookmark the permalink.